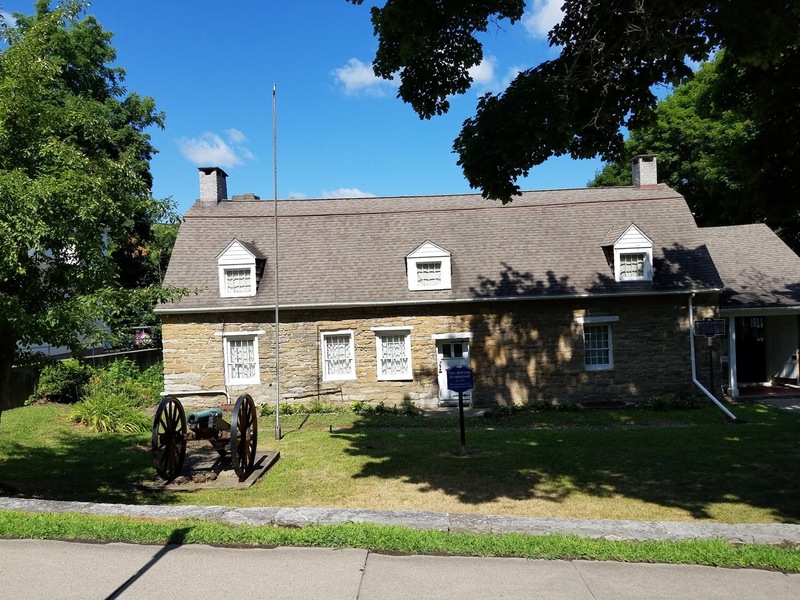 The oldest part of Schenectady, New York is known as the Stockade. This designated area was once inside, you guessed it, a stockade. 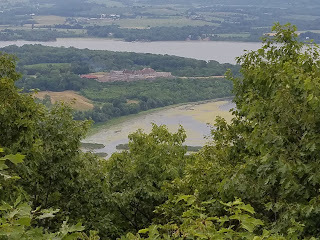 It is made up of half dozen streets that all seem to lead to the banks of the Mohawk river. They are peppered with 18th century houses, churches, graveyards and other buildings. 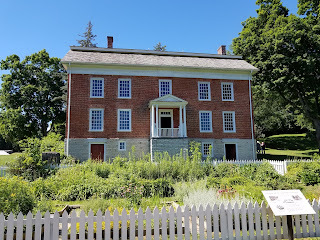 The oldest surviving house was built in 1742. Many of the houses have historical significance for both the state of New York and the American Revolution. Despite this, it is not a touristy area. I think I was the only person trouping around with a camera. The houses are almost exclusively private homes. 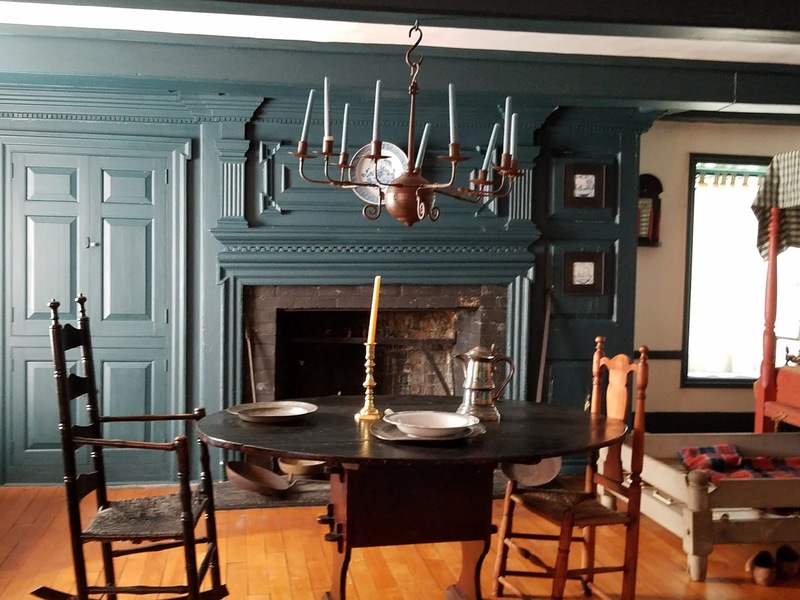 We stayed in a charming little hotel called The Stockade Inn. It's not a chain, has only a dozen or so rooms and was a few minutes from the river. It was full of historical photos of old Schenectady and was once a 'Men's Club'. It proved to be a great place to crash at night after a day of sightseeing. There are several really good restaurants within walking distance as well. We visited the Schenectady Historical Museum which was really nice. It had a lot of interesting information about the founding and evolution of the city. Well worth stopping by. The drive to Fort Ticonderoga was a mixed bag; half interstate, half winding road along the shore of Lake George. An interstate is an interstate, but the drive long the lake was lovely; once we got away from the touristy bits. The Village of Lake George was slammed with people and is chock-a-block with restaurants, gift shops, putt-putt golf, cute motels and camps along the river. It looks like a great family friendly town, but it was very crowded. We were there on a Tuesday, can't imagine what the weekend is like. At the very end of Lake George is a recreation of Fort William Henry, made famous in the movie, The Last of the Mahicans. My husband described it as 'Disneyesque' and it was not worth our time. It was great for small to medium sized children, but not so much for the serious history buff. 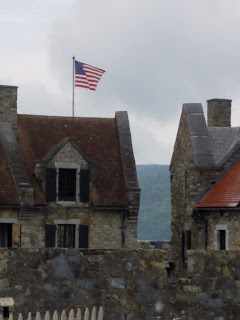 Fort Ticonderoga sits all by itself on Lake Champlain. Vermont, the state, is just across the lake. The views from the ramparts are amazing. The fort was mostly reconstructed in the early 1900s but if you did not know it you might not guess. The museum rooms are full of artifacts and history. When we went there were a few reenactors but not too many. The day was cloudy with a slight drizzle, the low hanging clouds added to the mystery of the place. A plaque at the Sally Port lists all the amazing people who passed through the gates from Ethan Allen and his Green Mountain Boys to Benedict Arnold. It was really quite wonderful to be there. After a tour of the fort we drove up to the top of Mount Defiance, where the canny British dragged their cannons, forcing the surrender of the Fort in 1777. What a spectacular view of the surrounding area. What really struck me though, and this would be a common theme throughout our trip, there was almost no one there. Maybe thirty people at this huge historical site, so important to our county's history. It made for a nicer experience for us, having the place to ourselves but, wow, just wow. 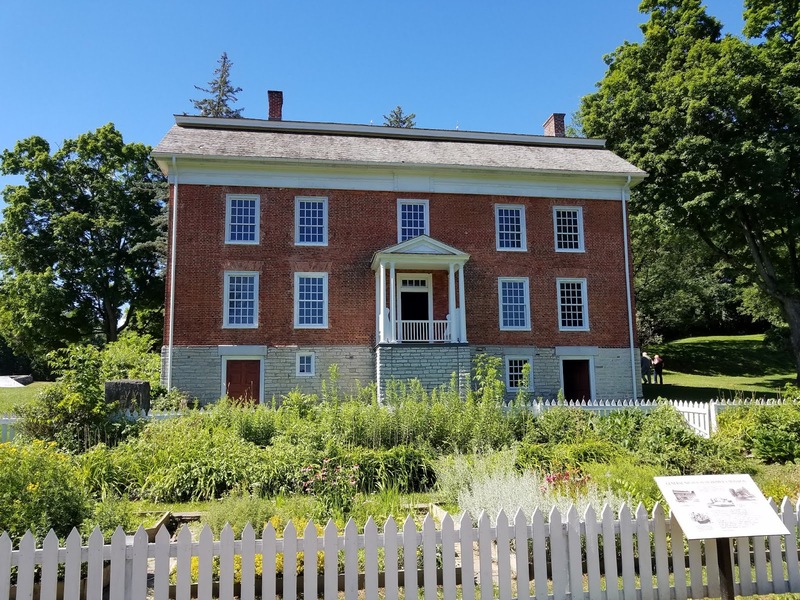 The Van Alystne House is a rare gem in the small town of Canajoharie. It was built in stages by Martin Van Alstyne, the oldest portion dates to around 1730. It started life as a one room house for Martin, his wife and their children. 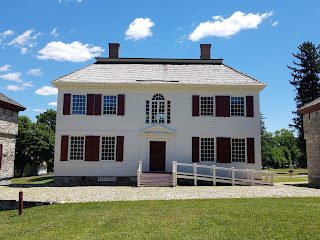 By the time of the American Revolution it belonged to Goshen Van Alstyne and had multiple rooms. It was not only the Van Alstyne family home but a tavern. This was the site of many, if not most, of the meetings of the Tryon County Committee of Safety. The museum/house is well maintained and holds many historical treasures, including a 17th century bible. 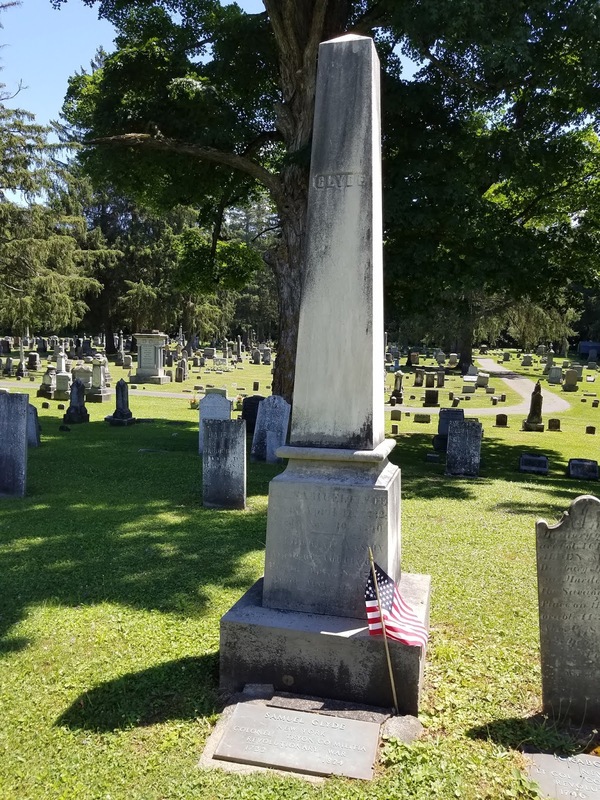 There are documents from the time of the revolution and a collection of paintings and documents belonging to Rufus Grider, a teacher/ historian who documented life in the Mohawk Valley. The house is only scheduled to open on Saturdays, but we were given a private tour, on request. Our tour guide Shirley was highly knowledgeable on the history of the house and the part it played in our collective history. It was well worth the visit. The house host reenactments during the summer season, has it's own Facebook page and is on twitter: @VahsCanjo. The town/village of Cherry Valley is a quiet peaceful farming community with a violent history. 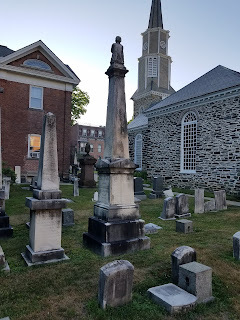 During the American Revolution combined Loyalist and Native American forces descended on the tiny settlement and killed, butchered really, anyone they could get their hands on, including several families with Loyalist standings. Hundreds more were taken captive. Despite the presence of a fort, the naive commander, Colonel Alden spread his troops across the valley, most were killed, including himself. Every building in the valley was torched. There is a small historical museum in town with artifacts from the original inhabitants. It's small but worth stopping into. 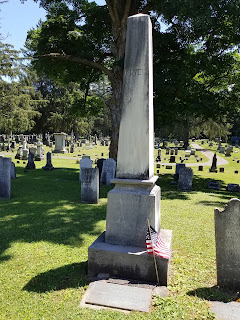 The well maintained cemetery has a monument to those who were killed during the massacre, the fallen Col. Alden and is the final resting place of those who fought during the revolution. The drive to Cherry Valley is beautiful, the roads winding their way up and down the hills. There's not much else there historically but it's nice stop. All I can say it was crazy packed with people. We did a quick walk through the packed baseball hall of fame and then boogied. The home of hero Nicolas Herkimer was the first of three historical homes we toured on the same day. We arrived just about 10:00am. There were two other people there. The house is located outside of the town of Little Falls. The grounds are large and the setting is lovely. The Georgian house is in fantastic condition and beautifully furnished, including some items original to the house. 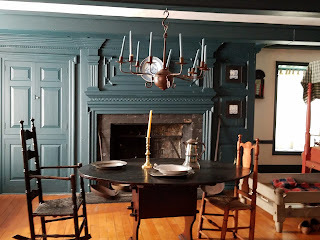 We had a great tour, our guide was well versed in the history of the house and the life of Nicholas Herkimer. After viewing the house we visited the graveyard which has a very large monument dedicated to Nicholas Herkimer. The visitors center has many interesting displays and is worth walking through. When we left we were the only visitors there. 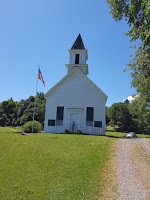 This is a tiny church built in 1769 for the Indians of the Mohawk Castle whose inhabitants included Joseph Brant and his sister Molly Brant. The church has been restored following a fire and is in amazing condition. I was surprised to find the door unlocked and we were able to see the inside. We were the only people there. The church sits on a small hill off with a dirt drive. If you're not looking for it you'll drive right past. It a nice example of 18th century Colonial buildings, and worth a stop. Johnson Hall is in the town of Johnstown. 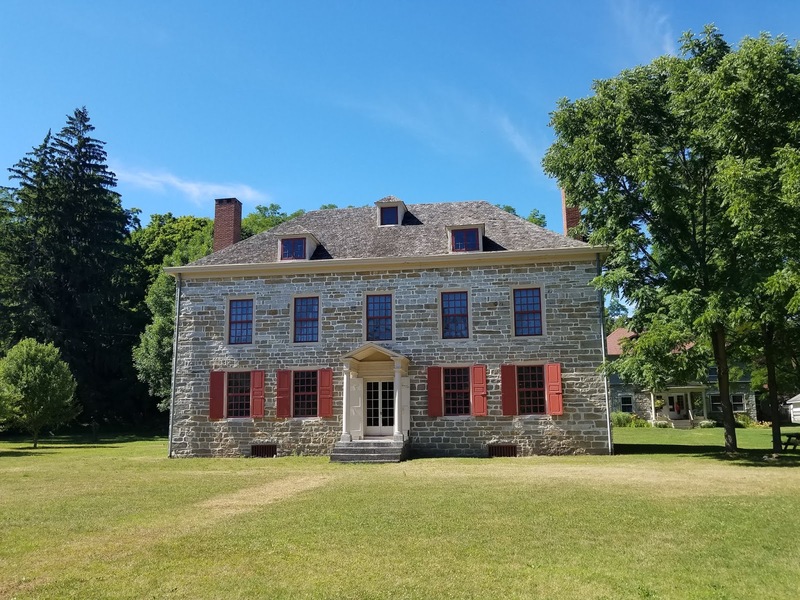 It was the third and final home of Sir William Johnson, hero of the French and Indian Wars and Superintendent of Indian Affairs until the time of his death in 1774. He was a very colorful character who lived a robust adventurous life. His second 'wife' was the Native American woman, Molly Brant. Sir William was the richest man in the Mohawk Valley and his home reflects this. It is full of period, some original, furniture and is full of history. The tour was fantastic and the guide highly knowledgeable. There were three of us on the tour. This was the second home of Sir William Johnson, built with his first flush of wealth. He designed the Georgian style house himself and the dimension reflect the lack of an architect, but he did a pretty good job. He lived here with his first 'wife' a runaway indentured servant. The house can be toured and is okay condition. It could use a bit of restoration, but is still well worth a visit. The grounds are pretty and there is a small museum/bookshop and a video presentation on the house. Again there were three of us on the tour. We had only four days to pack in a lot of sightseeing. 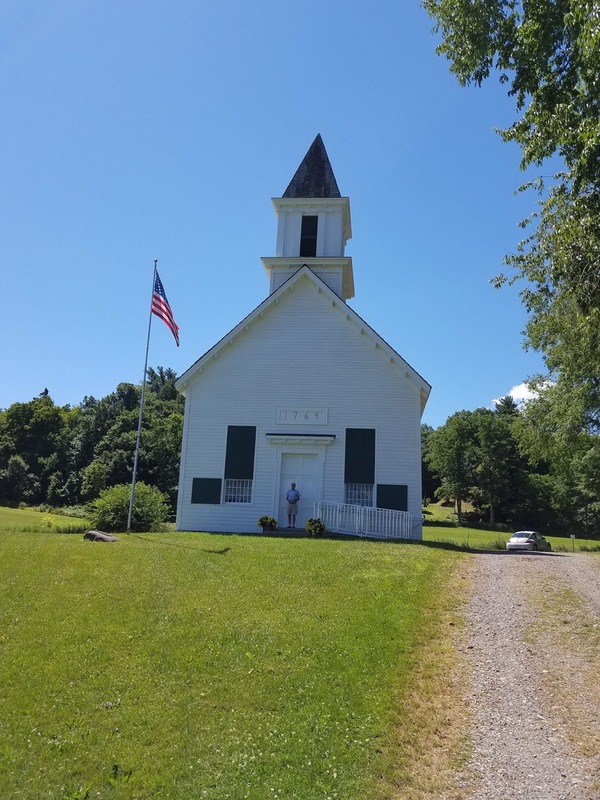 The Mohawk Valley is full of historical sites that we were unable to squeeze in. As much as I enjoyed my practically one on one tours at this significant historical sights, it saddens me that there is such a lack of interest in them. These places cost a fortune to preserve and if no one comes to visit we may lose them. So get off yer duff and go visit a historical site! If I'd had another day, I'd have gone to Fort Plain. Great book on the Mohawk Valley during both the French and Indian War and the American Revolution. The Bloody Mohawk . I read and re-read this book. I am in the process of writing my second book, Blood in the Valley, set in Cherry Valley during the massacre. While you eagerly await it publishing, big grin, you can read my first novel, Weave a Web of Witchcraft , set in Puritan Massachusetts. It tells the true story of Hugh and Mary Parsons of Springfield, both of whom were accused of witchcraft.